NextImmune is built on different research axes that reflect the expertise of the involved partners and supervisors. 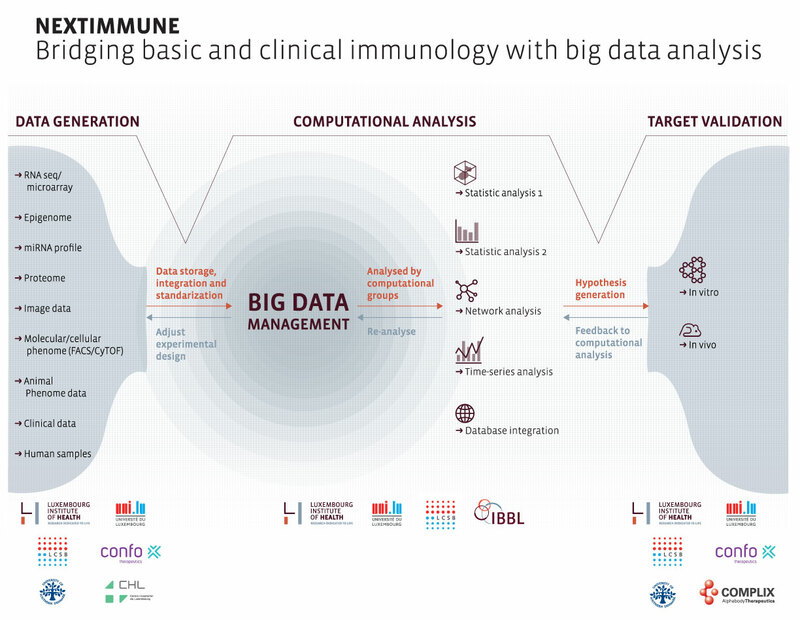 The DII of the LIH is the eminent immunological research department in Luxembourg with a straight focus on infectious and inflammatory diseases, whereas the LCSB at the UL has extensive expertise and international reputation in computational and systems biology. Combining molecular, cellular and computational approaches, research at LSRU focuses on the fundamental understanding of biological processes relevant to human diseases to make use of it for biomedical applications. NextImmune will allow PhD students to be trained in a unique innovative interdisciplinary scientific environment in Luxembourg, which will prepare them for the future challenges of biomedical research.